Built in 2006, by the Foss Maritime Shipyard of Rainier, Oregon (hull #7) as the Revolution for the Foss Maritime Company of Seattle, Washington. 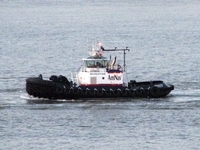 She was the third Dolphin class tractor tug designed by Robert Allan Limited of Vancouver, British Columbia. For the Foss Maritime Company of Seattle, Washington. 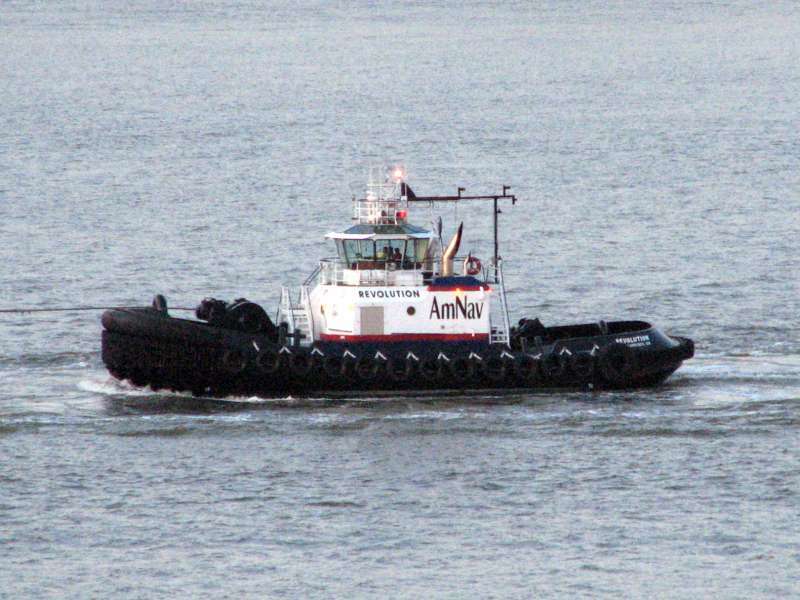 In 2008, the tug was transferred to AmNAV Maritime Services of Oakland, California. A subsidiary of the Foss Maritime Company of Seattle, Washington. Where she retained her name. 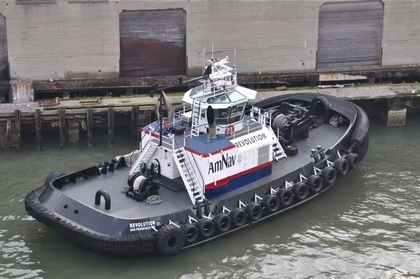 In 2012, AmNAV Maritime Services was reabsorbed back into Foss Marine Holdings Company of Seattle, Washington. Where the tug retained her name. Powered by two, series II, Tier II compliant, Catepillar 3512B HD diesel engines. With Rolls Royce US205 FP z drives. For a rated 5,080 horspower. Her electrical service is provided by two,125kW Marathon generator sets. Driven by two, John Deere 6081 diesel engines. 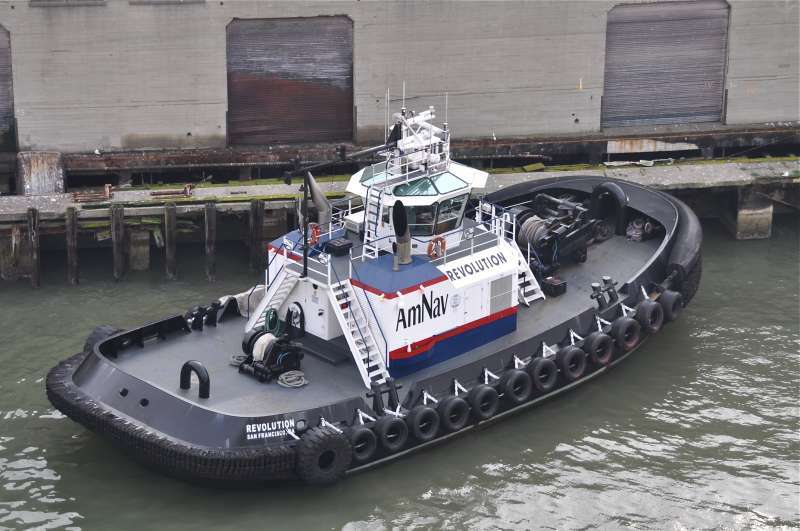 The tug's capacities are 10,000 gallons of fuel oil, 342 gallons of lube oil and 500 gallons of fresh water. The towing equipment consists of a Markey DEPGF-42, electric, bow winch. Outfitted with 500(ft) of 8.5(in), 12 by 12, plasma line. And, a Markey DEPC-32, electric winch, mounted on her stern. Outfitted with 300(ft) of 6.5(in) AmSteel Blue line.